What is WEP and WPA? WEP stands for Wired Equivalent Privacy. It is based on the IEEE 802.11 standard and uses the RC4 encryption algorithm. 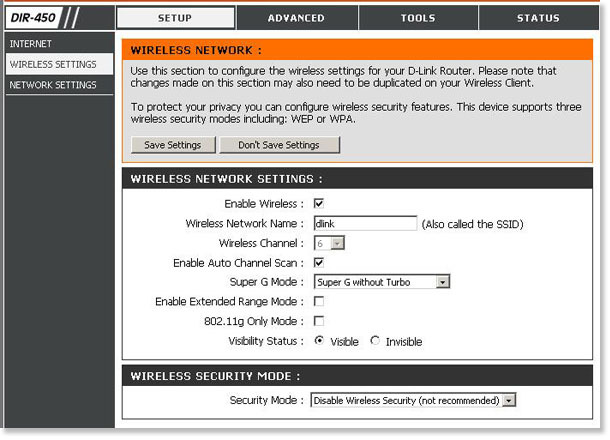 Enabling WEP allows you to increase security by encrypting data being transferred over your wireless network. When WEP encryption is enabled, there are up to four options*: 64-bit and 128-bit. 64-bit is the same as 40-bit WEP. The lower level of WEP encryption uses a 40-bit (10 character) “secret key” (set by the user), and a 24-bit “initialization vector” (not under user control). So lower level 40 and 64 bit WEP cards are equivalent in encryption strength and compatibility. * 802.11B supports 64 and 128-bit encryption, 802.11B+ (enhanced) supports 64, 128, and 256-bit encryption, 802.11G support 64 and 128-bit, and 802.11A supports 64, 128, and 152-bit encryption. WPA, or Wi-Fi Protected Access, is a Wi-Fi standard that was designed to improve the security features of WEP (Wired Equivalent Privacy). The technology is designed to work with existing Wi-Fi products that have been enabled with WEP (i.e., as a software/firmware upgrade to existing hardware).